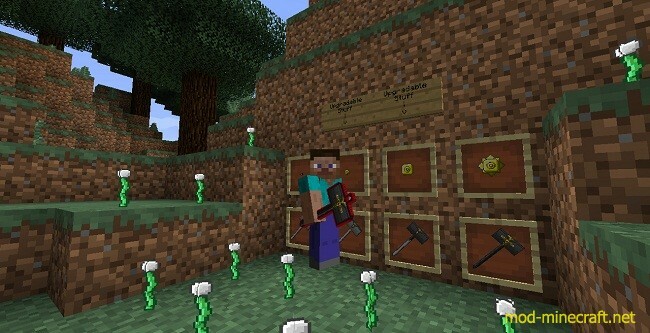 The Lost Weapons Mod supplies you with Gaea Hammer, Pixels, Potions, Pixel Plant in Minecraft. I consider this mod as one of the most fascinating mods in Minecraft world. The pixels are classified in: Normal, Mega, Giga, Omega, Tera and Peta. The Improved Healing Potion: Instantly Restores 4 Hearts, gives Regeneration for 30 Seconds. The Energy Potion: Gives GREAT Speed Boost, Enhances Jump and mining speed for 300 Seconds. If the ?mods? folder does not exist you can create one.